Artificial Intelligence (AI) is redefining the face of the business process both online and offline. AI through automated systems are programmed to replicate human functions which are in charge of official communications answering phone calls, emails and social comments to engaging website visitors on chats. AI is changing the overall face of customer interaction, according to the Business Insider and Gartner, 85% of business communication by 2020 will be handled by AI without any human involvement. Surprised? Read on! • According to Gartner, Customer digital assistants will be powered with facial recognition by the end of 2018, recognizing customers by face and voice across channels. • According to a report published by Narrative Science, 80% of business leaders believe that AI improves employee performance and creates job opportunities. If you thought IT organizations are the only digging gold out of AI, think again. AI is impacting every industry, disrupting business or giving them thumbs up on the competition. Microsoft, Google and Amazon have been investing heavily to build their AI capabilities. So have been Salesforce, Oracle and IBM. As per the findings of the Artificial Intelligence Market Forecasts report by Tractica, a market intelligence firm, AI adoption across multiple business domains will aid to significant growth in the next decade. The report further states that the potential revenues from AI will increase from $3.2 billion in 2016 to $89.8 billion by 2025. According to the report by Narrative Science, AI adoption was earlier restricted to only 38% of workplaces those surveyed, but by 2018 this figure will rise to 62%. 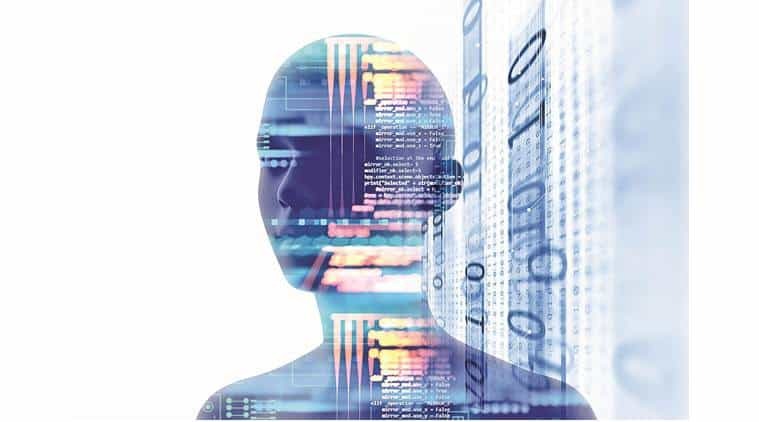 Organisations are increasingly feeling the need to adopt AI to drive customer engagement and gather data to understand their customer’s wants and predict their needs. AI is now being used to build brand loyalty and brand affinity. Today, customers are comfortable discussing their shopping lists with virtual assistants and chatbots over the e-commerce sites. Chatbots will be the next-gen sales representatives and offer you personalized shopping advice when you go shopping. Interactive chatbots will assure that your shopping query is solved ASAP and will also take care whether to precede your query to the higher management or issue a ticket if it is not solved. With AI adoption into retail and e-commerce, the whole process of customer services pre and post a sale will speed up. There would be fewer chances of human errors as the information will be received by chatting live with the chatbot instead of reading the lengthy FAQ page, and about section on the e-store. The rise of AI has given thumbs up to automation, self-driven cars, auto controlled home appliances, and industrial robots, and unheard terms a few years ago have replaced manual labor today. Automation saves costs and ensures efficiency when advanced robots are deployed for routine and scheduled tasks in factory assembly lines. The world is all set to witness a new era of automation where the division of labor will not be categorized as white collar vs. blue collar, but as routine (automated) vs. non-routine (manual) work. These smart technologies score a giant leap over human workforce as they can work 24 hours a day, 365 days a year without the need for breaks, or sick leaves. Over recent years, organizations have reaped the benefits of embracing AI into their business processes. The focus is now on new AI techniques like deep learning, reinforcement learning, and Bayesian machine learning which drives intelligent business solutions. Deep learning is the state-of-the-art approach and adaptability to these intelligent tools comes with many threats which have to be dealt with to harness the maximum return on investment. AI is a huge field of study and research. AI has the power to create and to destroy. The users of AI have to be masters of intricate knowledge and must have a deep familiarity with a particular approach. To handle and programme complex machines specialists who are beyond copy-paste examples must be hired. The application of AI into an organization needs a fine balance of human interface. Business process cannot be fully automated, there will always be the need of the human mind to operate those AI-driven robots, or answer to no- routine business needs. A profitable mix should be the right balance of AI and human interface to drive business operations. AI thrives on huge amounts of data which is required for training and testing the models. Data has to be intelligent to drive need-based business insights. Organisations should not restrain their purse strings to invest in data collection and data cleaning techniques to engine the AI programmes. AI has left the four walls of the academia and is ready to change organizations. Business processes should not be afraid to use it responsibly. Incorrect adoption may lead to biased data collection and flawed AI programmes which will hurt the business and its end users. AI with its intelligent solutions is here to stay and redefine industrial requirements. The need of the hour is to adapt and be ready to embrace technology that will change the course of the business solutions forever.